Women volleyball in Lamachaur, Kaski. 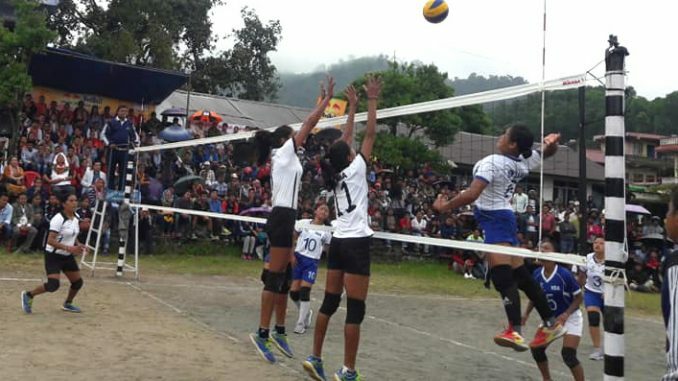 Pokhara—Armed Police Force’s APF Club lifted the title of National Women’s Volleyball Tournament in Pokhara on Wednesday. APF beat New Diamond Academy Kathmandu 25-20, 18-25, 25-17 and 25-21 in a final match held in Lamachaur under a Teej Festival. Likewise, Nepali Army beat Chitwan Tiger 25-18, 25-18 and 25-18 to become second runner up. Winner, runner up and second runner up bagged Rs 100,000, Rs 65,000 and Rs 25,000 respectively. A total of five teams took part in the tournament organized by Nawa Adarsha Community Development Society. Tourism Minister Rabindra Adhikari including others distributed the prizes. 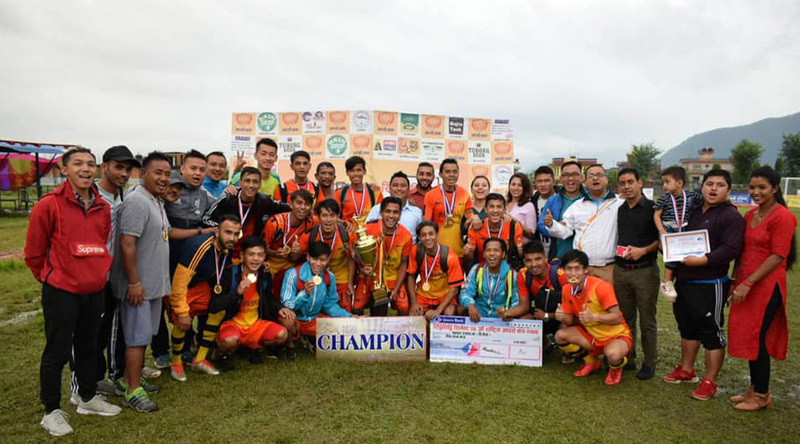 In an another championship, ANFA Syangja won the title of Riddhi Siddhi Cement 24th Adarsha Cup Football Tournament held at Bhndardhik Stadium in Lekhnath. Syngja beat organizer Adarsha Club 3-1 to bag Rs 300,000. Runner up Adarsha Club got Rs 200,000. Man of the match Martin, Niraj Basnet and Bishwas Shrestha contributed one goal each for Syangja while Bimal Rana scored lone goal in host side. It was first goal of the match in 25 minute. Kaski Chief District Officer Chakra Bahadur Buda, host club former chairman Bijay Gurung and chairman Laxmi Prasad Bhandari distributed prized to the winners of the tournament that was participated by 8 teams.